growing number of smaller and midsize companies have used enterprise risk captives (ERC) for more diverse risk exposure. These alternative risk transfer arrangements, which generally address uninsured risks or gaps in commercial insurance programs, feature several variations that help reduce costs, administrative burdens or both. Traditional â&#x20AC;&#x153;cellsâ&#x20AC;? are structured almost like a separate drawer in the filing cabinet of one corporate entity, explains Patrick Theriault, managing director of Strategic Risk Solutions. But unlike more recently developed incorporated cells, he says they do not require the employer to establish a separate corporation. The separation terms of both cell types are detailed in state insurance laws. Another newer vehicle involves the “series” limited liability company (LLC), which was created under corporate law prior to being used in the captive insurance arena. This structure is “more separate in nature than the traditional cell, but it’s not fully a separate corporation like an incorporated cell,” Theriault notes. These separate buckets are “administratively more efficient and less expensive, but not as separate as some people would like,” Simpson says. “On the other end, you have these bona fide separate entities, but there are some frictional costs and additional expenses. And in between, you have the series, which is sort of a function of coincidence. He says insurance laws in Delaware and other states have started to address this concept. A key difference is that while a cell is a creation of and regulated under insurance laws, a series business unit on the other hand is a corporate law creation (state LLC statutes). A captive is typically not defined by the type of entity that’s used. “When we talk about enterprise risk captives, they can be formed as separate corporations or a variety of different kinds of cells or series,” Simpson explains. That decision is often tied to cost and operational efficiencies associated with not having a separate corporation. ERC cells arose from a desire to segregate some risks or lines of insurance from one another and run them as separate divisions or businesses, according to Jeff Simpson, an attorney with Gordon, Fournaris & Mammarella, P.A. By doing so, he says they escape the burden of having to establish a different entity or insurance company for legal or regulatory purposes. Many business owners, particularly small or family held enterprises, are drawn to the cell structure because they require less capital than if they were dealing with a separate corporation. A traditional cell is also known as a protected cell, segregated portfolio or separate account – all of which Simpson says are simply separate accounting buckets built inside of a single entity. An incorporated cell company is essentially comprised of several separate entities, corporations, or LLCs that an insurance regulator is willing to treat as a single insurance company and amalgamate for regulation, he explains. Renting vs. owning Traditional cells were an improvement to the original “rent-a-captive” concept that were initially used as a group captive hybrid in offshore domiciles such as the Cayman Islands where the different programs or participants were tracked separately from an accounting perspective, according to Theriault. But since there was no legal separation of assets and liabilities, even though there was a business intent, all participants in these “rent-a-captive” arrangements could have (and some were) ultimately exposed to large claims of other participants where funds were insufficient. He says such experience gave rise to the creation of the protected cell concept involving traditional, incorporated and series to shield each participant from the activities of others (i.e., it converted a handshake arrangement to more formal legal contractual or corporate law separation). Cells will appeal to programs with a much smaller amount of premium that benefit from being able to bypass the statutory minimum level of capital otherwise required for a standalone captive, which Theriault says is already provided by the cell facility owner. Instead, the focus is on a need for risk-based capital only as determined by the domicile regulators. All these cells need is risk-based capital, he adds. More midsize company owners are inquiring about these arrangements, which he notes have also drawn a growing involvement among attorneys, CPAs and new captive managers. Some have established their own facilities they can offer to their clients. In addition, he points to at least one or more sessions now devoted to ERCs at most captive industry conferences. ERCs are typically owned by small or privately held enterprises rather than big, publicly held companies. How domiciles differ Nearly every U.S. domicile has some kind of protected cell provisions in its statute, according to Simpson. In most of those cases, a protected cell company can be formed while some have series LLCs under their local statutes. While some states haven’t focused on attracting ERCs because they haven’t needed it, Simpson reports that others have tried to bring in that business or became known as good domiciles for understanding the concept, and therefore, improving efficiency. Theriault has noticed an increasing focus around specific types of risk use in cells across various domiciles. For example, he has noticed that in general medical stop-loss cells primarily have gone to Vermont, while ERCs have gravitated to Delaware, North Carolina, Tennessee, Utah and Montana. He says one possible driver is that a substantial percentage of the ERC structures participate in some form of reinsurance often referred to as “risk pooling” and some states are more receptive than others to those structures. As it relates to the continued rising interest in ERC structures, another reason could be a better understanding of risk exposures among brokers, TPAs, attorneys and other service providers, according to Theriault. A healthcare platform unlike any other. Create is a whole new healthcare concept that aligns the interests of providers, employers, brokers, insurers and members so that everyone comes out ahead. When everyone is aligned, costs are controlled, members are happy and outcomes are improved. We put the power of choice squarely in the hands of members and practitioners. Create approaches healthcare from a full 360-degree perspective, helping providers to have a more inﬂuential role in their patient’s care. THE FUTURE OF HEALTHCARE IS NOW. Contact us today to learn more. © 2017 Brighton Health Plan Solutions. All rights reserved. Need for meaningful regulatory guidance The IRS has adopted a largely skeptical view of captive insurance, which recently landed ERCs for example on an infamous list of “dirty dozen” tax scams. The relative newness of these increasingly popular arrangements has made them prone to misconception or suspicion of ulterior motives, Simpson suggests. As it relates to cell taxation, the IRS issued proposed guidance in 2010 and asked the industry for comments, but has yet to follow up with final regulations. It’s anyone’s guess when any meaningful guidance will come. The regulatory reins on small captives were loosened under changes to Section 831(b) of the Internal Revenue Code. Premiums allowed for property and casualty insurers under elections made to this part of the tax code increased to $2.2 million from $1.2 million and were adjusted to inflation for the first time since 1986. A subset of ERCs actually takes the 831(b) election, Simpson explains. The Protecting Americans from Tax Hikes Act of 2015 was signed into law by thenPresident Obama before Congress adjourned for 2015. Whatever happens to the view of these arrangements inside the Washington, D.C., beltway, one thing is clear: ERC variations offer smaller and midsize employers more flexible options to meet their changing insurance needs. 016 did not see many changes in the United States captive sector. Other than the IRSâ&#x20AC;&#x2122;s continued offensive against captives using the 831(b) tax designation, there was very little federal involvement with the captive sector. More dynamic were developments in captive domiciles, with five states updating their captive laws and several newer domiciles staking a strong claim for themselves. Captive numbers were varied across the board with some established domiciles seeing a decline and other domiciles seeing exponential growth. Now several months into 2017, several domiciles have already instigated updates to their captive laws while several domiciles are forecasting a good year for captive formations. Captive Law Updates Five captive domiciles updated their captive laws in 2016. In Vermont, updating the captive law has become an annual event. In April 2016, Governor Pete Shumlin signed new legislation that amended Vermontâ&#x20AC;&#x2122;s 20-year-old captive law. Changes included refining governance standards, expanding dormancy, and allowing for cells to be transferred, sold, assigned or converted to stand alone captives without affecting the rights or obligations of the cell. Tennessee also updated its captive law in 2016. Tennessee is one of the oldest U.S. captive domiciles with captive law originally signed in 1978. However, after the 1980s the state was not promoted as a captive domicile until the law was amended in 2011 and the Tennessee Captive Insurance Association was formed to support the domicile. Since 2011, Tennessee has updated the law regularly. The 2016 update allows for a more efficient transition for redomesticating captives and offers an incentive, in the form of tax relief, for offshore captives choosing to redomicile to the state. Other changes include strengthening protections for cell company assets, self-procurement tax forgiveness, and the setting of March 15 as the due date for annual reports and premium tax payments. Georgia was an early player in the captive arena, signing its original law in 1989, but after the insurance market fell in the late 1990s, did not pursue captives until they updated their law in 2015. Last year, the state once again updated the law to reflect current trends in the captive arena. Changes in 2016 included clarifying the coverage pure captives are authorized to write, removing the requirement that captive management companies be home-based in Georgia, clarifying that letters of credit can be used to capitalize pure captives, with the addition of several minor tweaks to make the law more user-friendly. discretion to deviate from capital and surplus requirements for protected cells. Last year, Alabama updated its captive law for the first time since it was enacted in 2006. Alabama has proven to be a quiet but resilient captive domicile with 61 captives domiciled at the end of 2016. The amendments to the law offer two premium tax incentives to domiciling captives in the state. More legislative changes are on the horizon for 2017. The Vermont, Tennessee, and Texas legislatures all introduced new captive legislation in January. Utah and Oklahoma are also looking to update their law this year. The first change allows for a $100,000 cap on annual premium tax. The second offers newly formed captives a one-year exemption from premium taxes. As the number of captives in the state rose from 42 at the end of 2015, the changes seemed to have spurred some growth for the domicile. Captive Domiciles By the Numbers Most domiciles saw fewer captive formations in 2016 as compared to 2015, but there were a few notable exceptions from some of the newest domiciles. North Carolina doubled the number of captives, and cell captives, domiciled in the state to reach 550 risk-bearing entities—190 captives and 363 cell or series captives. In August, the domicile celebrated the licensing of its 100th pure captive and by the end of the year had reach 150 pure captives domiciled. The domicile has only been licensing domiciles since 2014 and is on a trajectory to match the numbers of some of the most well-established captive domiciles. Texas and Ohio both saw an increase in formations. Texas’s captive law was enacted in 2013 and has grown by about ten captives each year, until 2016, when the domicile saw 14 captives licensed in the state. Three captives also withdrew their license which left the domicile with 32 active captives at year-end. Ohio, which enacted captive law in the middle of 2014, saw an increase of ten captives last year, bringing the total number of captives to 14. The domicile is optimistic about 2017, foreseeing continued growth. With the uncertain direction of ACA, you need a partner that offers peace of mind. Life’s Risky.™ Self insuring doesn’t have to be. A self insured approach to employer medical plans can be a cost-effective alternative to a traditional group policy. But if claim amounts exceed what was forecasted, a business can face severe financial strain, possible lawsuits and even bankruptcy. Founded in 1978, Sutton Special Risk has grown into a premiere MGU providing Stop Loss, Accident & Health, Life and Contingency products and services for a diverse range of clients worldwide. Our consultative approach, underwriting expertise and attention to service enable us to respond quickly and effectively to your clients needs. Plan for the unexpected. Call us at 781.270.7457 or visit www.suttonspecialrisk.com. “The number of captives more than doubled in 2016 and we expect to maintain that growth trajectory this year.” Department of Insurance director. Another one of the newer domiciles, Oklahoma—which originally passed captive law in 2004 but didn’t begin recruiting captives until after the legislation was amended in 2013— gained seventeen captives in 2016, but 15 withdrew, leaving the total number of captives for the domicile at 75. According to James A. Mills, director of Captive Insurance with the Oklahoma Insurance Department. “The past year was very uncertain across the board, and we hope that  brings stability to the financial markets and clarity to IRS treatments of captives that lends to a successful year for all.” Nevada had a similar experience to Oklahoma, with 30 captives formed and 23 withdrawing. The number was down from 2015. Robert Gallegos, with the Captive Program of the Nevada Division of Insurance, said, “I can tell you that the Division closed the year with a small-captive formation level equal to that of 2013-2014 (2015 was an exceptional year) and that closures were 60% or more higher than 2013-2015.” The domicile had 205 captives at the end of 2016 and it’s not optimistic about captive growth for the upcoming year. Captive juggernaut Vermont, saw 26 new captives in 2016. Steady has always been Vermont’s approach to growing their captive industry. According to a statement from David Provost, Vermont’s Deputy Commissioner of Captive Insurance, “The quality of Vermont’s 2016 licensees was outstanding. Vermont’s focus will always be licensing quality companies and regulating them in an appropriate manner commensurate with their risk.” Of the 26 new captives there were 15 pure captives, five risk retention groups, three special purpose financial insurers, one sponsore d captive, one industrial insured captive, and one association captive. Vermont had 584 active captives at the end of 2016. TAKE CONTROL Lucent Health continues to innovate compelling and proprietary technology solutions that enable Employers to have more visibility into their healthcare spend and to control it. The classic double dip arrangement involved two steps. First, employees would make a salary reduction election to pay for their portion of the cost of an excludable employer health plan. Next, employees were reimbursed for a portion of their salary reduction contribution purportedly on a tax free basis. These arrangements were touted as a winwin: employers and employees get to pocket tax savings generated by the pre-tax salary reduction, while employees have no reduction in take-home pay due to the purported tax free reimbursement. As we addressed in a prior column, there are a number of abusive tax arrangements marketed (primarily to small employers) that utilize a wellness program to provide tax advantages similar to the classic double dip arrangements first prohibited by the IRS in the early 2000s. One recent manifestation sought to convert otherwise taxable wages to tax free “reimbursement” under a hybrid health indemnity plan/wellness program combination. If it seems too good to be true, it probably is. While the pre-tax salary reduction for the employee health coverage was permissible, the so-called tax free “reimbursement” to employees for the premiums used to pay for the health coverage was not!! Under the program, disproportionally large “benefits” (which often corresponded to the amount of wages sought to be sheltered) would be paid for non-traditional triggering events. There simply is no basis in the tax code for tax free reimbursements of premiums paid by the employee with pre-tax salary reductions, and the IRS made that clear in Revenue Ruling 2002-3. Whereas most health indemnity policies are fully insured, and triggered solely by an accident or sickness (as required under the Internal Revenue Code), benefits under the self-funded health indemnity plan lacked economic substance in that payments could be made for merely completing a health risk assessment or calling a health coach. regardless of enrollment in other comprehensive health coverage, with the ability to enroll in coverage under a wellness plan that qualifies as an accident and health plan under § 106. Employees electing to participate in the wellness plan make an employee contribution by salary reduction through a § 125 cafeteria plan (and therefore the amount of the salary reduction is not included in compensation income at the time the salary would otherwise have been paid). The wellness plan pays employees a fixed indemnity cash payment benefit each pay period (for example, equal to a percentage of the salary payable for the pay period) for participating in the wellness plan, without regard to the amount of medical expenses otherwise incurred. The value of coverage by an employer-provided wellness program that provides medical care (as defined under § 213(d)) generally is excluded from an employee’s gross income under § 106(a), and any reimbursements or payments for medical care (as defined under § 213(d)) provided by the program is excluded from the employee’s gross income under § 105(b). However, any reward, incentive or other benefit provided by the medical program that is not a payment for or reimbursement of medical care (as defined under § 213(d)) is included in an employee’s compensation income, unless excludible as an employee fringe benefit under § 132. That is because under § 1.1052, the exclusion under § 105(b) does not apply to amounts which a taxpayer would be entitled to receive irrespective of whether or not the taxpayer incurs expenses for medical care, including amounts paid irrespective of the amount of expense incurred by a taxpayer. limited to the amount of unreimbursed medical expense. Section 105 and 106 work together to provide an exclusion from income for both the value of employer provided health coverage (regardless of amounts received) and the benefits received by the employee through such coverage but only to the extent such benefits reimburse otherwise unreimbursed medical expenses. A fixed indemnity health plan is a plan that pays covered individuals a specified amount of cash for the occurrence of certain health-related events, such as office visits or days in the hospital. The amount paid is not related to the amount of any medical expense incurred or coordinated with other health coverage. Consequently, while the payment by the employer for coverage by a fixed indemnity health plan is excludible from gross income under § 106, any payments by the plan are not excluded under § 105(b). The CCM, which by its terms is not controlling law and cannot be cited as precedent, is inconsistent with current controlling law under Code Section 105, which would allow amounts paid under a pre-tax funded health indemnity policy to be received tax free, but only up to the amount of otherwise unreimbursed medical expenses. Indeed, at the time Section 105 was enacted, many employer funded health plans paid benefits on a fixed indemnity basis, without necessarily coordinating coverage from other sources. The IRS specifically addressed such situations in a 1969 Revenue Ruling3 which clarified that any “excess” fixed indemnity benefits would be included in gross income. If fixed indemnity payments are never (as seems to be suggested by the CCM) considered to be a reimbursement for medical expenses—such as when the payment is triggered by a health care related event that likely triggers medical expenses, such as hospitalization or an office visit, the Revenue Ruling would be unnecessary, and not make sense. Further support for this position can be found in IRS Revenue Ruling 69-154. In that ruling, the IRS looked at several situations in which health indemnity benefits exceeded the amount of medical expenses incurred. As with traditional insured health indemnity benefits today, the health indemnity policies in the ruling did not coordinate with other coverage or otherwise reduce benefits because the medical expense had been fully reimbursed. Yet the IRS concluded that the health indemnity coverage in the ruling would provide tax free benefits to the extent of any unreimbursed medical expenses. 2 Note: The vast majority of employer wellness arrangements provide meaningful incentives to employees to incent healthy behavior. We do not take issue with such programs. Rather, the “fatal defect” arises with respect to the incorrect tax treatment of certain programs as described in more detail herein. 3 Rev. Rul. 69-154 https://www.irs.gov/pub/irs-drop/rr-69-154. As noted above, we understand that the CCM was intended to address certain abusive practices associated with the hybrid wellness/self-funded health indemnity coverage arrangement that was under review. We stress that traditional health indemnity policies are fully insured and only pay benefits in the event of a medical event that triggers medical expenses. In light of the foregoing, we believe that to the extent traditional health indemnity benefits are examined, IRS Rev. Rul. 69-154 and the regulations under Code Section 105 control. Thus, amounts payable under such health indemnity policies should be excludable from an employee’s income to the extent of any otherwise unreimbursed medical care expenses. Any claim payments (combining the total from all health and medical policies/plans) that exceed the amount of unreimbursed Section 213 medical expenses would be taxable. 4 What if the value of the coverage was $300 but the salary reduction for that benefit was $1,000? Would the cost of the coverage still be excluded from income? The IRS did not specifically address this issue in the CCM but we note that such excessive cost of coverage may not even qualify for exclusion under 106 in that instance. If not, the benefit would not constitute a qualified benefit that can be offered under the cafeteria plan—thereby jeopardizing the tax status of the cafeteria plan. to see it through. to navigate the course. Through expert risk assessment and exceptional service delivery, HM Insurance Group provides self-funded groups financial protection to meet the challenges of a changing health benefits market. We know the importance of making informed decisions â&#x20AC;&#x201C; thatâ&#x20AC;&#x2122;s why we deliver tips, tools and insights to help our partners and their clients determine the right Stop Loss coverage options and create smart solutions for managing claims and containing costs within the self-funded approach. Prepare for success with self-funding at hmig.com/slknowledge. This service offers a physician only network and applies the RBR solution to all facility charges. This enables the employer to take a smaller step into the RBR world by offering standard PPO access for physician and professional services, while also impacting approximately 50% of the total medical costs represented by inpatient and outpatient facility services (1). This approach can be used as a transition product to full PPO replacement. The concept is to eliminate reliance on network discounts in favor of savings obtained through the application of a percentage of Medicare, “cost plus”, or other reference based repricing mechanism. The most common method appears to be using Medicare as a benchmark for recommending provider payment since that is the most recognized and used reference based repricing tool. Most RBR vendors set a standard percentage of Medicare in recommending a payment. For services where no Medicare reimbursement is available or applicable, other pricing mechanisms are used including cost-plus and usual, customary and reasonable (UCR). The vendors then support their recommendation through a combination of telephonic interface with the providers and members, along with varying levels of legal assistance. Several organizations will even take on the “fiduciary” responsibility of the Plan, protecting it from legal action by providers. This may include paying attorney’s fees, court costs and even additional payments to the provider. Fees for these services may be based on a percentage of savings, a percentage of billed charges, or a per employee per month (PEPM) fee. With this option the employer eliminates the PPO and replaces it with RBR based payments to all providers, including services for urgent and emergent care. Visit the Healthy Advantage website at www.gbshealthcare.net to access our quoting tool and online underwriting platform, or call 800.638.6085 to speak with a sales representative. THE UPSIDE For employers, the Plan savings can be dramatic, especially if a total replacement strategy is implemented. Instead of network savings ranging from 20% to mid-40% (depending on if accessing a rental PPO vs. a carrier network), they can achieve savings of 50% to over 70%, depending on the baseline percentage of Medicare used for payment recommendations. Additionally, the member can see significant out-of-pocket savings since these reductions can impact applicable deductibles, coinsurance and copays. The number of employers implementing RBR plans is increasing, especially in markets where providers have shown a willingness to accept “reasonable” reimbursement. For many, 150% of Medicare has been acceptable as payment in full, especially for physician services. In fact, many physicians are accepting fees at or below 120% of Medicare. Even some facilities have been willing to accept 150% to 180% of Medicare in lieu of balance billing members. In addition, these solutions provide members open access to any provider regardless of location. THE CATCH There always seems to be a catch with solutions promoting Plan savings that seem too good to be true, and the RBR product is no different. With the elimination of the PPO network there’s no longer an out-ofpocket cost safety net for members, putting them potentially at risk for significant fees above their Plan deductibles, coinsurance and copays. In some cases, depending on the service and the percentage of Medicare applied, they could be balanced billed for tens of thousands of dollars, or more. Though most of the organizations providing this service offer aggressive “patient advocacy” services to assist in reducing or eliminating balance billing, there are no guarantees. When the vendor takes on “fiduciary” responsibility for the Plan, it does NOT usually apply to the individual members. This fact can cause significant concern and potential employee dissatisfaction with the Plan and the employer. And because interaction with the provider on behalf of the member can take months, even up to a year, there may be a risk to the financial well-being of the member, including impacting their credit worthiness. However, considering the lack of contractual leverage with providers, the incidence of cases resulting in legal action directly against members appear to be relatively small. For some employers, the risk is worth the reward of the medical savings to the Plan. THE EVOLUTION Despite the significant savings that can be generated through these programs, many employers are still reticent to offer them due to the concern it could create employee dissatisfaction, and potentially lead to the loss of high value employees. Consequently, some RBR vendors are now offering services to help mitigate or eliminate provider push back on payments, and member balance billing. for all care for the member, scheduling pre-testing as well as post treatment to enhance the level of service. The result is significantly reduced costs for the Plan and the member, eliminating balance billing, and providing a positive member experience. Some vendors have gone as far as identifying highly utilized providers for the employer with the goal of contracting prior to the need for services. •	Medical Tourism: Another tool being used to limit the impact on members while also generating impressive savings is directing care to providers outside of the Plan’s geographic market, including internationally. Again, the goal is to obtain an aggressive contracted rate in return for directing care to the provider(s). Many times, the employer will cover the travel costs for the patient and a family member because the savings are so significant to the Plan. This may be included as part of the concierge service offering, or as a standalone product. •	Specialty PPO Access: Some vendors have taken a further step to help eliminate provider balance billing and increase employee satisfaction by including specialty network access, including, but not limited to diagnostic and radiological services, Centers of Excellence and transplant. It is important to note that the member may still have the option to waive these options and select any provider with the understanding that there may be significant additional out-of-pocket costs. FULL CIRCLE What is most interesting about the next iteration of RBR products is the focus on developing solutions that can limit or even eliminate provider balance billing. This can be done through a combination of services as mentioned above. If enough providers are contracted, we have what can loosely be defined as a “narrow network”. In some markets, vendors that have a significant volume of business are proactively contracting with highly utilized physicians and hospitals. In other cases, they may contract on a client specific basis. Consequently, RBR products could become a stepping stone for groups to move to formal narrow/high value networks. The more these solutions add direct negotiated provider agreements, including other contracted specialty networks, the more employers may gravitate toward PPOs offering limited provider access with agreements based on a percentage of Medicare similar to, or even less than that used by RBR replacement solutions. We are already seeing an increase in narrow/high value network offerings and anticipate that over the next several of years RBR replacement and narrow networks will vie for many small to medium sized employers. Some vendors may offer both options recognizing that one size doesn’t fit all. Only time will tell which product may gain significant traction in the market. Certainly, with the change in our governmental leadership and the potential of repealing or modifying the Affordable Care Act, we may see an environment that is conducive to accelerated growth of one or both options. ABOUT THE AUTHOR Corte B. Iarossi has over 25 years’ success in the group health, cost-containment, PPO and managed care markets. He’s led sales, marketing, and product development teams for large managed care organizations including Prudential, BCBS, and the George Washington University Health Plan, and fast moving entrepreneurial businesses including United Claim Solutions, Coalition America (now Zelis Healthcare), and Memorial Health Services. He can be reached at corteiarossi@outlook.com, and 423-5059128. Held Captive by Appeals By: Tim Callender, Esq. •	(4) The Claimant files a first-level appeal. •	(5) The first-level appeal is handled by the TPA. Sometimes input from the plan-sponsor is solicited, sometimes not. Every TPA / plansponsor relationship is different. •	(6) The denial of benefits is upheld by the TPA / plan-sponsor at the conclusion of the first-level appeal process. •	(8) The TPA will handle the second-level appeal in one of two ways: (i) it will review the second-level appeal, provide a recommendation to the plan-sponsor regarding the determination, and ask the plan-sponsor to make a final determination based on the TPA’s recommendation; or (ii) the TPA will submit the second-level appeal to the plan-sponsor, in its entirety, for the plan-sponsor to review and determine, on its own, whether the denial should be upheld or overturned. governing plan document, simply because of the emotion, heartache, and the difficulty of handling complex appeals. Solutions to the problems discussed above do exist, and these solutions are exploding across the industry and across the country. The captive model is one such solution, primarily focused as a remedy to the SmallMid’s concern over self-funding and financial devastation. Captive risk-sharing is not a new idea – yet it is not as common in the self-funded health space as we all might think. Another group leaves self-funding and then the horror stories trickle downstream, preventing other Small-Mids from moving toward self-funding. Time and again, my colleagues and I are surprised as we travel and speak on self-funding topics, all around the country, to learn that many employers, not to mention their brokers, have either never heard of captive risk sharing or have simply never invested the time to learn much beyond the basics. The proof is in the pudding. The numbers show that properly-run captive programs, filled with Small-Mids, are breaking down doors and bringing Small-Mids into self-funding through the assurance of responsible, managed risk-sharing. most TPAs steer away from this administrative add-on for two reasons. (1) it drastically blurs the line between who is acting as a fiduciary for the plan and (2) it can create a potential conflict of interest and call objectivity into question when the same entity has adjudicated the initial claim, handled the first appeal, and then went on to handle the second appeal. Figure in a solution that can handle the appeals concerns discussed above and we are looking at the pinnacle method to eliminate the two most prominent barriers to self-funding faced by Small-Mids: financial concerns over claims exposure, and managing appeals. Tim Callender serves as the Vice President of Sales and Marketing for The Phia Group, LLC, headquartered out of Braintree, Massachusetts. Prior to his current role, Tim served as a Staff Attorney and Lead PACE Counsel for The Phia Group. Before joining The Phia Group in 2015, Tim spent years functioning as in-house legal counsel for a third party administrator. Tim is well-versed in complex appeals, direct provider negotiations, plan document interpretation, stop-loss conflict resolution, keeping abreast of regulatory demands, vendor contract disputes, and many other issues unique to the self-funded industry. Tim works out of The Phia Group’s newest office, in Boise, Idaho. SIIA will hold its annual International Conference at the Condado Vanderbilt Hotel in San Juan, Puerto Rico April 18th-19th. This event will be focused on helping U.S.-based companies identify and understand potential business opportunities related to self-insurance/captive insurance in key countries throughout Latin America and the Caribbean. In addition, the event will provide a truly unique networking environment designed to connect U.S. attendees with attendees from Latin America for purposes of exploring partnership and/or business development opportunities. Join us early and participate in the pre-conference tour to the Bacardi Distillery, including access to the Cathedral of Rum with an assigned Brand Specialist, and a lesson on how to prepare three legendary Bacardi cocktails. The program continues all day Wednesday, April 19th with sessions discussing Puerto Rico Financial Services Environment â&#x20AC;&#x201C; Advantages For Off-Shore Companies, Medical Travel Trends, International Insurance Center (Act 399 Overview), Export of Services and Investor Relocation (Act 20 & 22 Overview), Big Data Solutions for the International Insurance Buyer, and the Evolving Regulatory Environment for SelfInsured Health Plans in Latin America. The educational program begins Tuesday April 18th, with welcome remarks from SIIA President Mike Ferguson. Sessions on Tuesday will be covering topics such as The Latin American TPA Experience and a Puerto Rico Captive Manager Panel Discussion. On April 20th, conference attendees have the option of participating in a tour of local medical travel facilities. For more information on the program, tours, sponsorship opportunities and registration, please visit www.siia.org. Zelis™ Healthcare Announces Chief Commercial Officer Zelis™ Healthcare, a market-leading healthcare information technology company, is pleased to announce that Patrick O’Keefe is Chief Commercial Officer for Zelis Healthcare. Mr. O’Keefe joins the executive team with responsibility for Sales, Account Management and Commercial Operations. Mr. O’Keefe is a proven healthcare leader with deep expertise in building and leading high performing businesses and sales organizations with small to large size organizations. Mr. Oâ&#x20AC;&#x2122;Keefe was General Manager of Anthem|Empire BlueCross Blue Shield where he had P&L accountability for financial and operational results of a New York Commercial business generating over $1 billion in revenue. Mr. Oâ&#x20AC;&#x2122;Keefe served as Northeast Region Mergers & Acquisitions Partner for Digital Insurance, National Practice Leader for UnitedHealth Group, Vice President of Key Accounts and Regional Vice President of TriState Small Business for United. In addition, he held various sales leadership positions at Fitzmaurice & Company, LLC, (now Willis Towers Watson), ChannelPoint, Inc. (now TriZetto) and HIP of New York (now EmblemHealth). â&#x20AC;&#x153;Pat has an outstanding record in our space, and I am confidence that he will assist us in reaching our major milestones,â&#x20AC;? said Doug Klinger, CEO of Zelis Healthcare. â&#x20AC;&#x153;I am thrilled to have the opportunity to join the Zelis team,â&#x20AC;? said Mr Oâ&#x20AC;&#x2122;Keefe. â&#x20AC;&#x153;It is an exciting time for Zelis and I look forward to utilizing my market experience to support our efforts to achieve our growth objectives and ensure the highest satisfaction of our clients.â&#x20AC;? To learn more about Zelis Healthcare, visit us on Facebook, follow us on Twitter, or connect with us on LinkedIn. About Zelisâ&#x201E;˘ Healthcare Zelis Healthcare is a healthcare information technology company and market-leading provider of end-to-end healthcare claims cost management and payments solutions including network solutions, claims integrity and electronic payments serving healthcare payer clients, healthcare providers and healthcare consumers in the medical, dental and workersâ&#x20AC;&#x2122; compensation markets nationwide. Zelis Healthcare is backed by Parthenon Capital Partners. Mr. Oâ&#x20AC;&#x2122;Keefe earned his BA in Economics & Political Science from Villanova University. Silver Members Oklahoma Approves Atlas as Captive Manager Atlas Insurance Management has been accepted by the Oklahoma Department of Insurance to act as a manager for captive insurance business in the state. The approval makes Atlas the first North Carolina-based captive manager to be accepted by Oklahoma. Martin Eveleigh, chairman of Atlas Insurance Management, said: “We are pleased to have received approval to do business in Oklahoma.” “The state is a growing domicile, and we are looking forward to working with Oklahoma’s captive insurance division. Atlas already has two captives that we will be managing in this new domicile.” In addition to Oklahoma, Atlas Insurance Management recently received approval to act as a captive insurance manager in South Carolina. Mr. Feldman has been the chief executive officer of Capstone Associated Services, Ltd. for over 19 years. 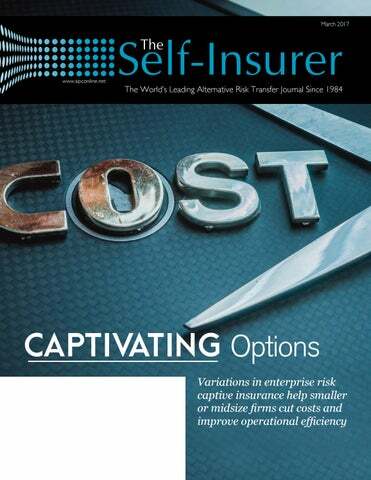 Under his leadership, in collaboration with The Feldman Law Firm LLP, Capstone has formed over 200 separate and distinct captive insurance companies (exclusive of cell and series arrangements), for business owners nationwide. The Firm has also led more than 55 tax controversies to successful conclusions, which include three tax court cases. They are among the leaders in identifying industry issues, including those imposed by the 2010 Dodd Frank Act, and more recently have called industry attention to the many impaired “LLC-type” cell and series arrangements. Feldman draws upon a strong tax, financial, and accounting background, dating back to a career in public accounting in the 1970s following his completion of graduate business school. Mr. Feldman brings 30+ years of experience on the substantive business side of transactions along with the perspective offered as an attorney and as a former practicing CPA. Stewart A. Feldman earned a position on the ERC Pioneers List in 2015 as well as the 26th worldwide position on the publication’s Power 50 List in 2014. We appreciate the positive response our medical stop loss coverage has received coast to coast. We look forward to bringing our iconic brand name, stellar balance sheet, and decades of underwriting experience to the medical stop loss marketplace for years to come. QBE North America is part of QBE Insurance Group Limited, one of the largest insurers and reinsurers worldwide. QBE NA reported Gross Written Premiums in 2015 of $4.6 billion. QBE Insurance Group’s 2015 results can be found at www.qbena.com. Headquartered in Sydney, Australia, QBE operates out of 37 countries around the globe, with a presence in every key insurance market. The North America division, headquartered in New York, conducts business through its property and casualty insurance subsidiaries. QBE insurance companies are rated “A” (Excellent) by A.M. Best and “A+” by Standard & Poor’s. 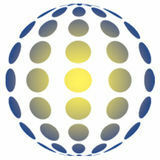 Additional information can be found at www.qbena.com, or follow QBE North America on Twitter. Contact Phillip Giles, Vice President - Sales & Marketing, at Phillip. Giles@us.qbe.com, 910.420.8104 and visit www.qbena.com. QBE’s North American-based Accident & Health division provides exemplary coverage and services to support the specialized needs of self-insured employers as a leading direct-writing provider of medical stop loss, including single-parent and group captive programs requiring stop loss insurance. 444 W. 47th Street, Suite 900 Kansas City, MO 64112 • 816.960.9000 www.lockton.com © 2017 Lockton Companies. All rights reserved. ELMC Group, LLC Appoints Industry Veteran John Gedney to the Role of Executive VP, Chief Growth Officer ELMC Group, LLC, (“ELMC”), a manager of premier, full-service managing general underwriters (“MGUs”) specializing in underwriting medical stop-loss insurance, announces the hiring of John Gedney into the role of Executive Vice President, Chief Growth Officer. Gedney is an employee benefits entrepreneur with more than 30 years of experience helping companies optimize their benefits plans and is considered an industry expert in the emerging Private Exchange market.